(Nanowerk News) There are three types of people: those who have tried 3D printing, those who are fascinated by it and can’t wait to try it and those who have no idea what it is — yet. But a new collaboration between EKOCYCLE and 3D Systems is making the technology more accessible for novices and experienced users alike. 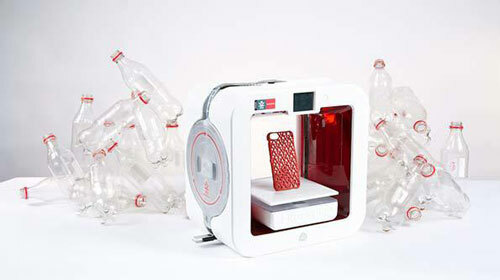 The EKOCYCLETM Cube® 3D Printer allows home users the ability to create new, beautiful and meaningful objects with a groundbreaking printer filament made in part from assorted post-consumer recycled plastic bottles.